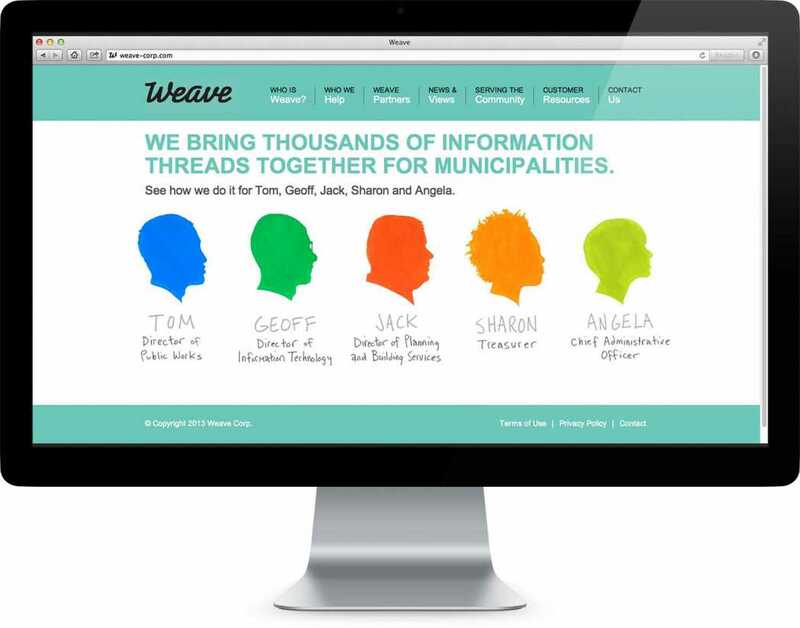 This software engineering group, originally called “Direct IT”, wanted a whole new brand, identity and campaign to coincide with the launch of their latest release of their cloud-based database software for municipalities. 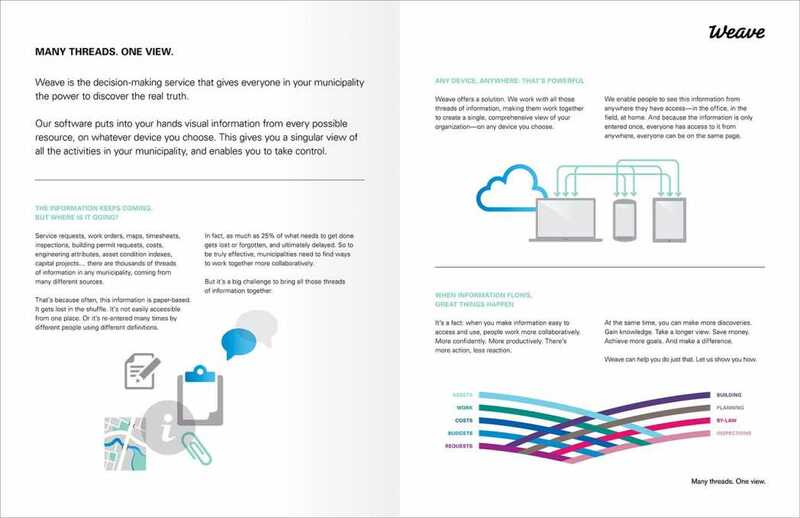 Working in partnership with Michael Stokely Design Associates, I formulated the company’s value proposition, its brand anthem and a set of customer voice prints. 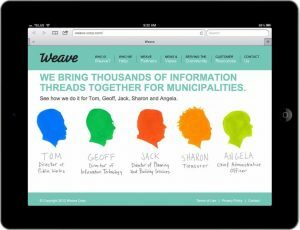 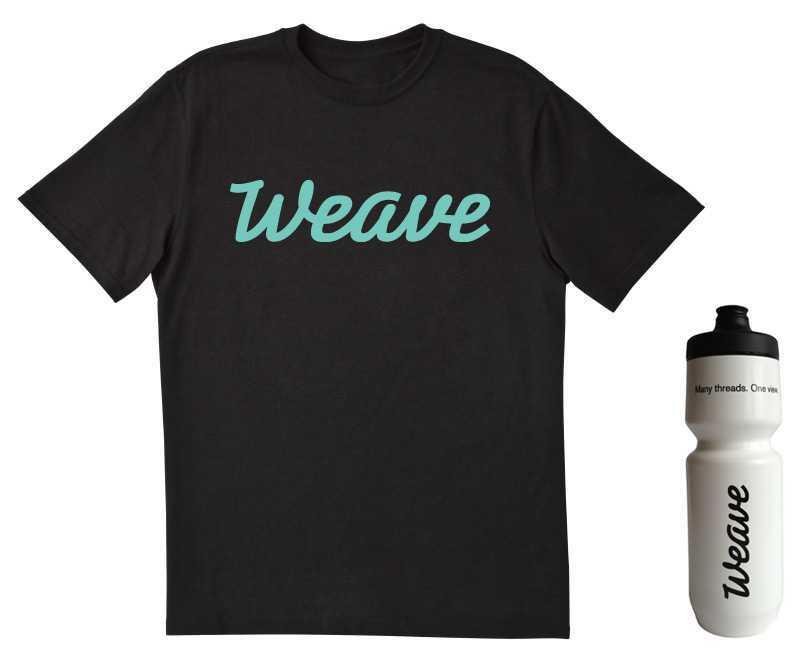 I then devised the name “Weave” as well as the tagline (“Many threads. 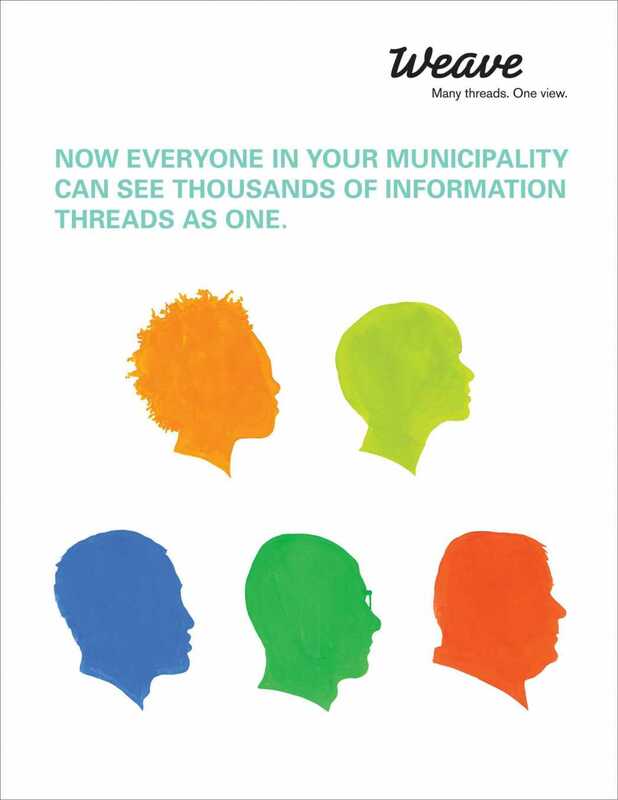 One view.”) based on the idea that multiple “threads” of information could be woven together to create a single, accurate view of activities within a municipality. From there, we developed a wordmark and all supporting marketing materials, including a website that directs the individual to information customized to that person’s specific role within a municipality.